Are you a student who is concerned about the world water crisis, education for girls, women's empowerment, or African culture? If so, starting a TRIBE club in your school is a great way to give back. 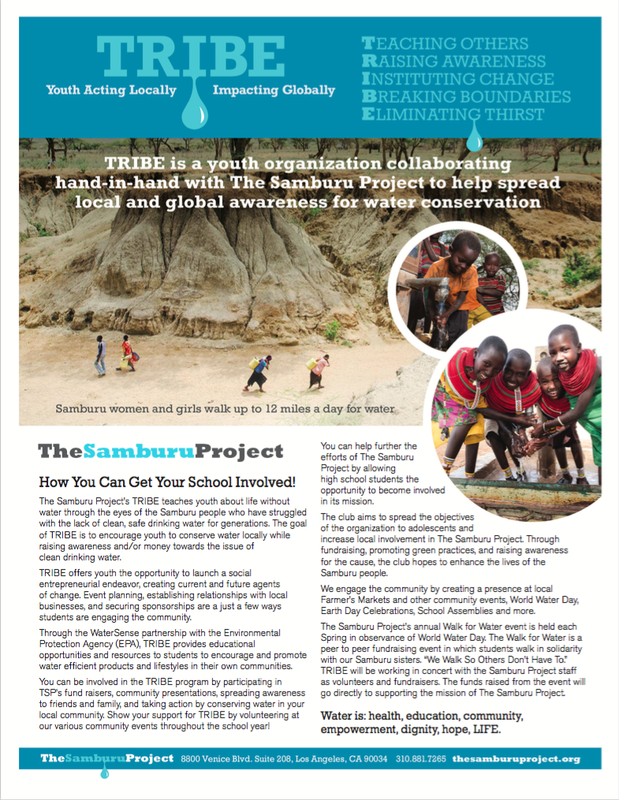 The Samburu Project works with youth around the country to encourage the conservation of water locally and to raise awareness globally. Let us know how we can help you start a TRIBE at your school.